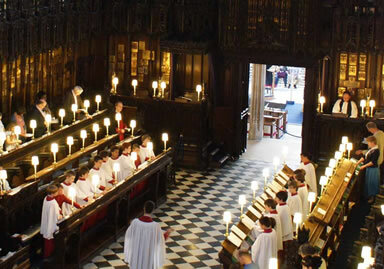 Be a chorister at the world-famous St George's Chapel, Windsor Castle! Come Sing at St George's! 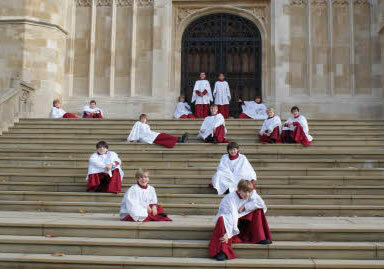 Be a chorister at the world-famous St George's Chapel, Windsor Castle. Being a chorister is a life-changing experience. It's a lot of fun! You learn to sing to a professional standard. 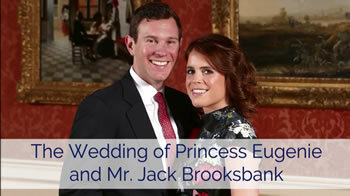 You are surrounded by all the pageantry and history of Windsor Castle and St George's Chapel. You sing regularly for Her Majesty the Queen and other members of the Royal Family. 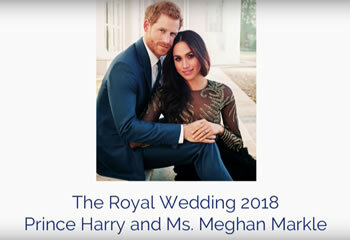 2018 has been a luvverly year at St George's - with TWO Royal Weddings! Below are links to the Royal Family You Tube Channel, where you can see the men and the boys of the Choir taking part in each service. Click on each link to open a new YouTube page at the right moment. This website and the accompanying videos are here to encourage talented boys - and their parents - to consider joining this famous choir. 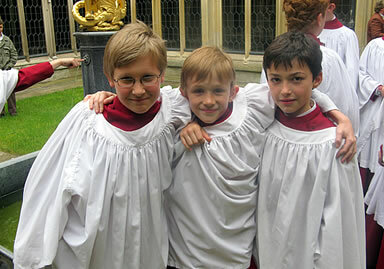 Be a Chorister for a Day - Click for info! See for yourself what it's like to sing and live at St George's. 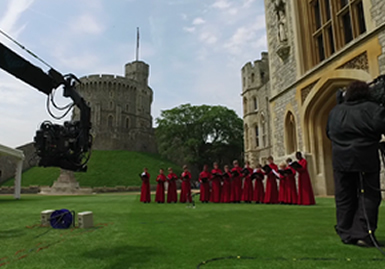 Here's the lowdown on the chorister adventure, here at Windsor. We can't promise two Royal Weddings every year - but the Windsor team explain what's on offer - and how it is full-on fun and games and learning and singing. There's a lot to do, so you'll never be bored at St George's! Rt Rev David Conner is the senior clergyman at St George's Chapel - he explains the importance and value of being a chorister, and how the tradition and training offers great life-long opportunities for today's youngsters. Interested? Want to know some more? Get in touch with us. 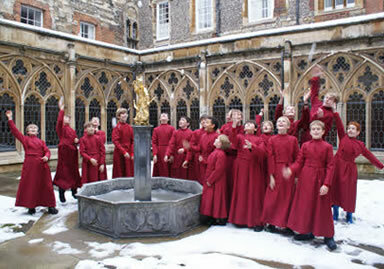 about the life and times of the choristers at St George's School and Chapel. St George's Chapel has a choir made up of twelve professional male singers, and (this is where you come in) boy choristers who sing the top or treble part in all sorts of music. The choir sings in the beautiful Chapel in the Castle as well as at many exciting events, such as concerts and Royal occasions. 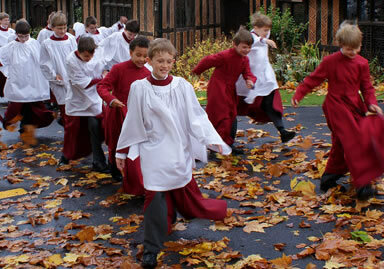 There are up to 23 boy choristers in the choir, aged between 8 and 13. They enjoy a subsidised education* (and for the older ones, free accommodation) at St George's School, nestling against the north wall of the Castle, within the Home Park complex. 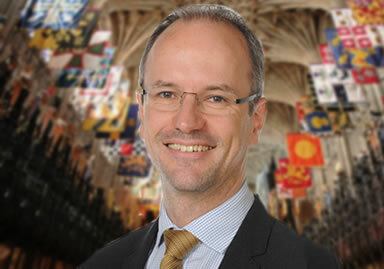 Choristers also receive singing lessons from one of the UK’s most sought-after teachers. It's a wonderful start in life - excellent musical training, team working and a fine education at one of Berkshire's most sought-after Prep Schools. 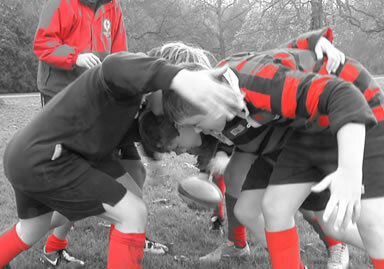 The musical experience often makes it easier for our boys to win scholarships to their choice of senior school. The Chapel and its Choir belong to a community (which includes St George’s School) called the College of St George which is, at its heart, a group of people who live and work together to offer worship to God, prayers for the Sovereign and the Order of the Garter, service to society and hospitality to visitors. 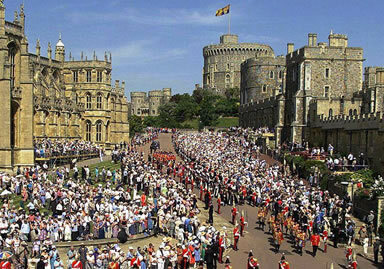 The College takes up a quarter of Windsor Castle. St George’s Chapel, one of the UK’s most beautiful buildings, was founded in 1348 and boy choristers have sung there ever since. It is both the Free Chapel of the Queen and also the Chapel of the Knights of the Garter, the oldest order of chivalry in the world. The Queen is closely involved with the life of the College, and attends the Chapel on certain occasions each year, including the annual service of thanksgiving on Garter Day. Originally a school just for the boy choristers, St George's is now a thriving Prep School for boys and girls aged from 3 to 13. 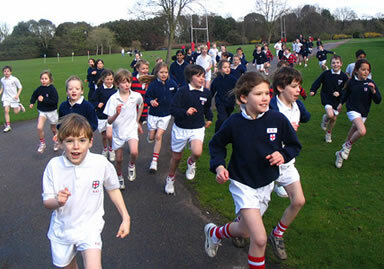 Up to four hundred youngsters attend as day pupils but some, including the older choristers, are weekly boarders. St George's takes its cue from its Christian heritage, providing a place of learning that is flexible enough to stretch the most able, while nurturing children of all abilities. A chorister’s life is a busy but rewarding one: it is a life-changing opportunity for boys from any background during which the boys learn many life skills: time management, working as a team, and self-motivation. At the audition, we are looking for musical potential and a spark in the eye. We are not even expecting a boy to have had any formal music lessons. During his time in the choir, a chorister will sing a whole range of music from the 14th to the 21st centuries. The UK’s choral tradition has the highest respect amongst musicians from other countries, for the range and standard of choral singing achieved. Usually a boy will start in the choir between the ages of 7 and 9, roughly equivalent to Years 3-5 (although sometimes Yr 6). At first, a boy will ‘learn the ropes’ as a probationer which usually takes about 9 months to a year. Once he has made the necessary progress, he is ‘surpliced’ to become a full chorister. As the probationer progresses towards his surplice, he will start to board at the school. Boarding is essential as a chorister’s duties often require them at early morning rehearsals. Boarding does actually make life easier for chorister parents, rather than more difficult, and a happy and healthy chorister enjoys the family atmosphere of the boarding house. (Choristers go home on Friday evenings and then reappear at breakfast on Sunday for the services in the Chapel.) It is a life-changing opportunity and is suitable for any boy from any background who has the basic raw materials. who coach and guide the choristers at St George's. James joined St George's in the autumn of 2013 from the Temple Church in the city of London, where he led a renaissance in the choir there. 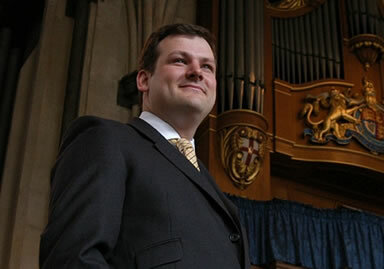 James comes to Windsor via King's College, Cambridge, where he played for the annual "A Festival of Nine Lessons and Carols" that is broadcast to tens of millions worldwide. He is a much-in-demand performer in his own right. He is married to Ann Elise Smoot (a concert organist) and they have two young children. 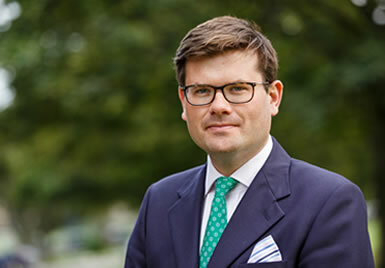 As the school Head Master, William has nearly 340 children in his care, and he works hard to ensure that the choristers, while busy with their musical commitments, are regular pupils too, enjoying the full range of lessons and games and extra activities such as school trips. The choristers' music and performance ethos permeates through the school, inspiring all the children to enjoy taking part in both musical and theatrical events. As Director of School Music, James heads up a department that teaches not only curriculum music, but also provides tuition in dozens of instruments. Most of the choristers will work their way through grade exams in Piano and Music Theory, along with another orchestral instrument. Most will achieve Grade V or higher by the time they leave us for senior schools. Come and find out more: visit us soon! Come and see what it's like to sing surrounded by centuries of history in St George's Chapel! © 2019 Dean and Canons of Windsor | *Bursaries are available | **Nearly every day!